The spring/summer 2018 issue of Church of God Engage has been released and is available digitally at www.cogengage.org. The journal for ministers, church and lay leaders, offers a variety of articles for those working in ministry on a regular basis. Different than Church of God Evangel, Engage offers practical ministry ideas and resources, as well as items for the local church to implement. This issue continues the series, “Let’s Talk About It,” by General Overseer Tim Hill. This time he addresses the topic of so-called “systems” in the church. Other articles include “Cultivating a Heart for Holiness,” by Cheryl Johns, “What is Biblical Preaching,” by Randall Eubanks, and “Sorting Through the Church’s Silence,” by Beth Moore. In this issue Lee University religion professor Dr. Terry Cross addresses the topic of “Why Church,” in the on-going series of papers submitted by the Doctrine and Polity Committee. In a reprint from another publication, safety consultant Rihanna Miller discusses a current, yet often taken-for-granted topic of church playground safety. There is also the first in a two-part feature on dealing with mental illness in the church. Regular columns include Legal Notes and Financial Matters that appeal to the minister and local church. In one of the last entries of the series, a “teaching pastor” describes his role in the local church. This series has now come full circle in covering virtually every church staff post. There is also a recurring section which looks back at the last four months of Church of God happenings as reported on Faith News Network. 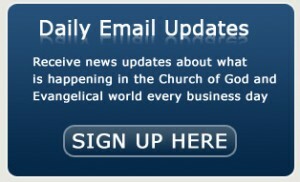 Published three times a year, Engage is emailed directly to ministers, pastors, staff and leaders in the Church of God. It is then made available to anyone simply by logging into the website www.cogengage.org. On the site, the publication may be downloaded for print, or viewed in a convenient two-page spread. Any website listed within the publication is a live link. There are also archived copies of the publication going back several years.